Four small-town friends face an uncertain future in this acclaimed comedy that evokes the best of DINER and AMERICAN GRAFFITI. Keller has wanted to leave Dancer, Texas since he was a child. At 12 he enlisted his best friends, Squirrel, Terrell Lee and John, in a solemn oath that they would all ditch Dancer after high school graduation. 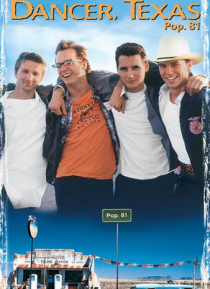 But when the boys gather on graduation night, each finds his o… wn reasons to reconsider their vow. A charming work that never rings a false note.